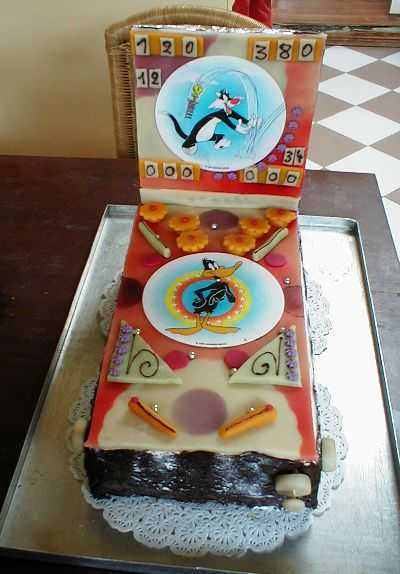 Flippers.be - Special birthday cake with a pinball machine theme. 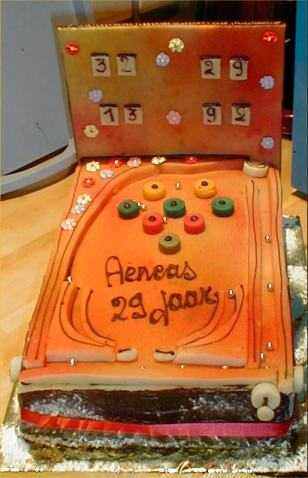 This was my birthday cake for my 29th birthday.. do you notice I like pinball machines ? The bakery said it was the first time they had a special request like this. This special cake was made to celebrate the opening of our gameroom..